You may have recently seen some horrific images of a pending famine in East Africa, in countries like Somalia, South Sudan, Kenya, as well as places like Yemen. This is a free family-oriented, community-based day where we all come together and contribute towards our current appeal to feed the starving in East Africa. If you’ve never been to a Bring & Buy sale before, the idea is not only to come along and BUY something, but also to BRING something to sell. Have a clear out, and see what you can donate to this much needed cause. Come to our classic evening of an eclectic line up of artists from spoken word to rap artists to musicians. 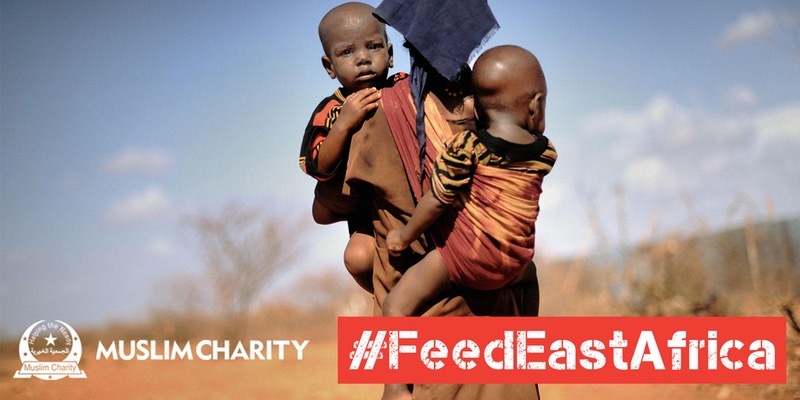 This is a ticketed event costing £10 of which 100% goes to the East African famine appeal, to provide food, water, medical supplies and a water tanker which will supply the community with up to 10 Million litres of water per year. Buy tickets here. 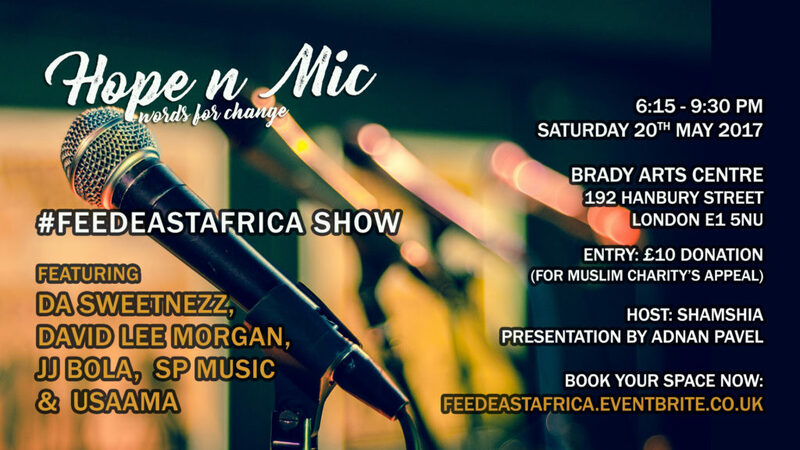 Any artists that would like to perform in the open mic section, please register online in advance – limited spaces available. If you can’t attend the above events but would still like to donate to the appeal, we have a JustGiving Page where you can donate. 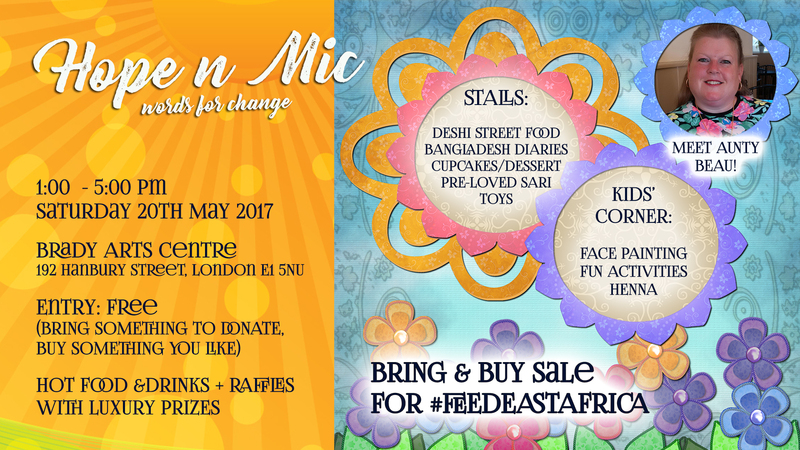 All funds raised through this appeal and range of events will be donated to Muslim Charity, a registered British charity who have a programme to deliver aid to the most needy in places like Somalia. They have promised us a 100% donations policy with this event. What we give to them they will translate into food and medical supplies. Hope n Mic not only has a good working relationship with Muslim Charity, but find they are also highly transparent with their work.